The conference will be held on Thursday, December 6th at the stunning KIT Royal Tropical Institute in Amsterdam-East. The program starts at 17.00 and will end around 22.00. A ticket costs 99,- (excl. tax). 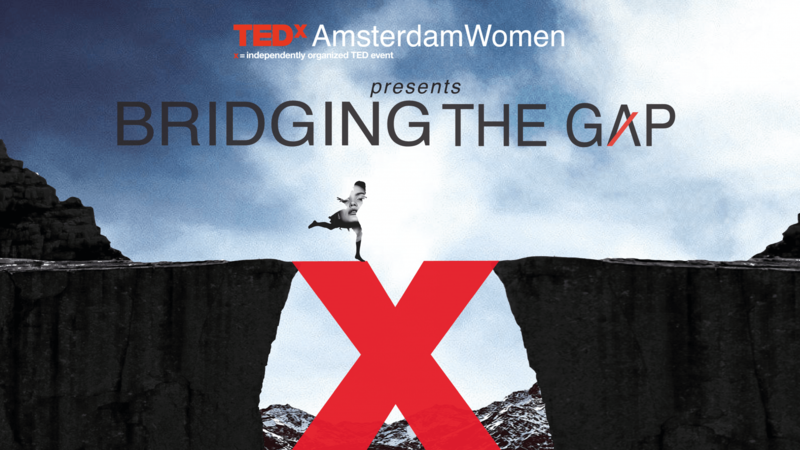 TEDxAmsterdamWomen is a non-profit organisation and entirely run by volunteers. There are costs related to organising the event, from catering to venue rental and more. To cover our costs, we rely on partners and also ask for a participation fee from attendees. We believe that the price of this full evening event is worth it – you will enjoy inspiring speakers, entertainment, dinner and drinks, and the chance to network with an interesting group of people. You can buy a link via this link. The first announcement about ticket sales is through our newsletter. Please sign up here to stay informed of all news related to TEDxAmsterdamWomen, including our events. You can pay by iDEAL, Visa, Mastercard, American Express, or Bancontact. Why do I need to send in a motivation? We want to create a movement, and engaged participants are vital to this. We’re also curious about you and why you want to be part of this event. By sharing your motivation, we can also fine-tune our program to our visitors. We appreciate your participation and input! No, we only sell single tickets to individuals. This because we want all of our visitors to motivate why they attend TEDxAmsterdamWomen. If you wish to buy more tickets, please purchase them separately. You can bring a printed ticket or present an e-ticket on your mobile phone. It is your proof of registration and guarantees your entry to the venue. Also, it needs to be scanned to print your name badge on the day of the event. Who are the speakers for TEDxAmsterdamWomen 2018? We will announce our speaker lineup soon. Keep an eye on our Speakers page. Where can I find an event program? Once the full program has been revealed, we will share it with our attendees. For now, stay tuned via our social channels for the latest updates. The reception starts at 16.00u, the program will start at 17.00u and will end around 22.00u. Absolutely! The ticket price includes beverages and a delicious dinner. How can I get involved? Do you need volunteers? Yes! We are looking for professional volunteers who can share their expertise and keep TEDxAmsterdamWomen running. Please check this link for current openings. I have a ticket, but I can no longer attend. Can I get a refund? We do not offer refunds. If you contact us via women@tedxamsterdamwomen.nl we will connect you to someone who would like to attend so you can transfer your ticket to them. Is the venue fully accessible for all visitors? If you have tickets and require assistance during the event, please send us an email so we can can inform the venue. There are over 400 tickets available for the conference. We’re always on the lookout for new speakers! Our first edition of Pitch Night is on November 9th, 2018. Pitch Night opens the stage to new, undiscovered “ideas worth spreading”. If you are interested in speaking at the TEDxAmsterdamWomen Conference, please send us an email. No. Seating is on a first-come, first-serve basis. What language is the event in?